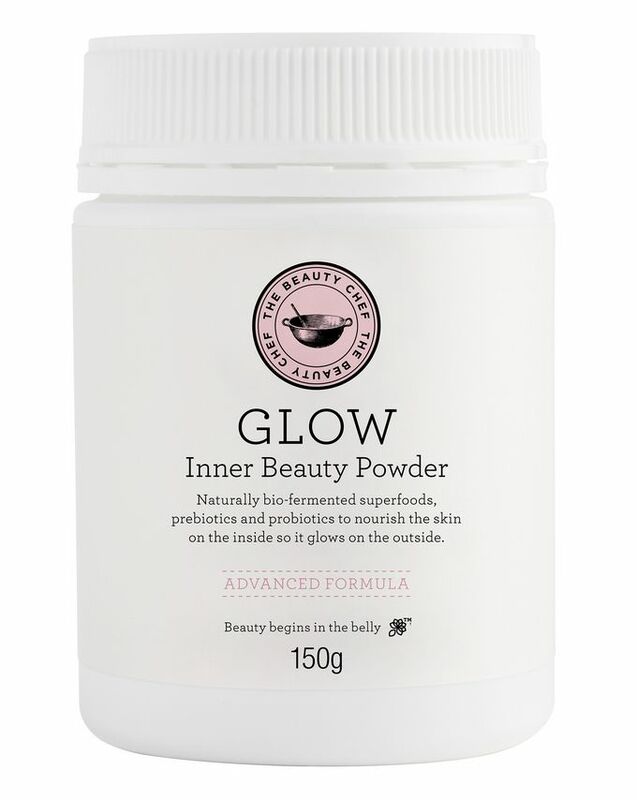 Following The Beauty Chef founder Carla Oates’s philosophy that 'beauty begins in the belly' this Glow Inner Beauty Powder works to nourish skin from the inside out. Bondi Beach-based Carla created this pioneering 'edible skin care' after years of concocting remedies from her kitchen and growing herbs in her garden. Designed to be blended as a shake, it contains a whole host of certified organic ingredients, including a cocktail of vitamin-rich, probiotic 'superfoods' that promote better gut health, which in turn leads to a luminous complexion as well as numerous other beauty benefits. A great way to boost your detox regime, this clever concoction has been specially designed to give your skin a new lease of life, working from within to reduce inflammation and nourish the body so that you’ll be left with a clear, radiant complexion. It contains 23 'superfoods' including chia, green tea and ginger, to restore a healthy balance in your gut that not only improves your skin but also helps maintain a healthy digestive system. With a pleasant-tasting berry flavour, simply mix a teaspoon with water or your favourite drink – it’s suitable for vegans and those intolerant to lactose or gluten, plus it’s free from sugar and artificial colourings. 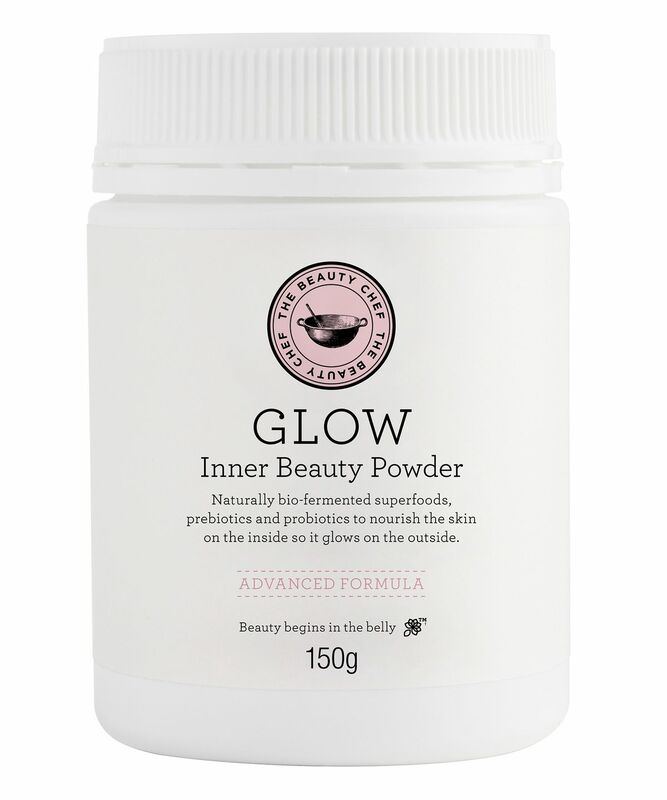 To keep you on tip-top form if you're going away (or a great way to sample this glow-giving supplement) Glow Inner Beauty Powder is now also available in a 5-sachet edition. Blend 1 teaspoon (5g) or one sachet into 200ml of water or your favourite drink. Always use a dry spoon and refrigerate after opening. I have ordered so many times this product and just can say I really love it, taste awesome and now I can´t live without it..Great fermented ingredients! Warning: it tastes disgusting! I’ve been taking the powder for a few days now and I’ve already noticed my complexion looks brighter and clearer - much nicer than my dull, blotchy skin before! My hair also seems to be shinier. Looking forward to seeing the results when I’ve used this for longer. I'm using it over a month and I can say it does a good job for your digestive system and helps your bowels. But I honestly haven't noticed any change on my skin, it doesn't give your skin a glow and personally I got many breaks out all over my face. Also noticed when I didn't take it for a day my bowel system got worse and I bloated out. Tastes great, makes me drink more water as part of my daily routine & even after just a week I feel like my complexion is more even. I do not see significant improvement in my skin, but I do feel its magic in easing abdominal bloating. It also largely helps in smooth bowel movement. bad reaction to this and going into the trash! Everyone here seemed to benefit from this except for me. I hate to write bad reviews but I feel the need to warn about this. The moment I took a this, I started getting chills and soon I was running a high fever and breaking out on my face which I never break out even when I don't feel well. Extremely disappointed! TMI but I mean, it does keep you regular! Good for your guts indeed. I make a green smoothie or normally buy a ready made green smoothie from the shop and mix it in. I have been using this along with The Beauty Chef Collagen Inner Beauty Boost everyday for over a month and it’s a godsend. I take them both as soon as I wake up without fail for over a month. I noticed that my skin looks somewhat smoother and have not gotten any spots (which is surprising as my face is like an oil factory!) I would highly recommend it as it worked for me and excited to see more results by taking it continuously! This is brilliant. I feel my whole body relax when I take it. Also - and this was not my reason for taking it- my very dry feet which were looking quite medieval completely transformed in a week. Powerful alkalising. It's not delicious but it's pleasant and it feels all natural and my body loves it. I'll definitely buy it again. And the sachets are fantastic for work trips. This brand is excellent. Perfect start of the day! I got this almost 3 weeks ago. I am not sure if and what is the effect on my body yet BUT it is the first thing that i do in the morning. I do feel my skin looks better and its smoother and plumper, but I am doing so many things for my health lately that I cannot be sure what is the source of this. I love the fresh berry taste. I put a teaspoon out of the magic powder in a glass of cold water and just drink it slowly while I plan my day of success. This product and the Hydration one from the same brand succeeded in the impossible task of making me drink more water and if only for this fact - I declare myself happy! I love them both and I will repurchase for sure. Absolutely love the taste .Waiting to see the wonderful results. I have been taking this product ever since it launched. I used to live in Sydney and was so excited when I moved to Sweden that I could still buy it. I can't pinpoint one effect it has on me, but I just know when I don't take it my body is a little off. It keeps me 'regular' and I find that I don't get those pre-period spots anymore. Tastes good too. I love mixing it with yoghurt or kefir rather than just having it with water, and it tastes absolutely amazing. I love the effects it has had on my skin so far, but it’s not results you’ll see overnight. Judge the product after using it consistently for a week or two. I tried the sachets first, just in case it didn’t agree with me or I didn’t notice results. It was so good I ordered the full pot. I haven’t had any breakouts since using this, even hormonal ones. My skin feels soft and smooth and the skin on my face looks plumper. I would highly recommend this product. It really works. Great taste, the recipes that the Beauty Chef gives are super helpful on how to mix it. It keeps my digestive system in good working order and if I skip it for a few days I immediately notice the difference. It is difficult to say what it does for my skin since I follow a good skincare regimen and a good diet but if it helps the digestive system it definitely helps the skin by keeping it clear and fostering cell renewal.